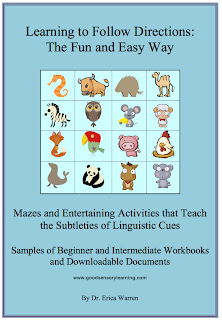 Come download a free sampling of these following directions activities that also strengthen language processing, sequential processing, listening skills, attention to detail and more. 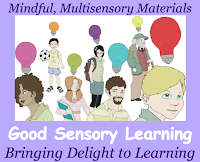 The activities are great for learning centers, group work, warm ups, or even individual remedial help. They integrate enjoyable activities such as coloring and mazes to assure that your students will love completing the handouts. Click here to go to my product page, where you can download your free sample today.